I have it going for about a year now. Still no problems with it, and it's a great phone. Sometimes the UI can get a bit sluggish, and loading the pictures in the album can take a while sometimes, but it's nothing you can't handle. However, you absolutely need to flash a custom 2.2 or 2.3 ROM. It does wonders for this kind of phone. this is ny first android phone n d second one is SONY xperia U.
i'm fed up with this gadget. 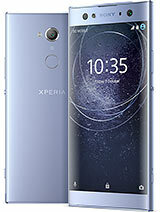 have a make a video call on skype on my sony ericson xperia x8 ??? people's choice, 27 Oct 2012can anyone tell me how to zoom with experia x8 camera? pleasejust tap tap on ur screen. move here and there. is this gud cell.i wan buy new cel phn bt m confused? dnt knw which1 is gud..
khendee chuangmanee, 26 Oct 2012how to zoom ?can anyone tell me how to zoom with experia x8 camera?